You've decided on your wedding venue and now it's time to decide on whether to have a buffet meal or a plated one. It is automatically assumed that the plated meal will be much more expensive, so the buffet dinner is the one chosen. I see this scenario more often than not, so let's just say that this is the one you've gone with. What many people don't see is the reception from the guests' perspective. You've invited approximately 150 guests to your weding. 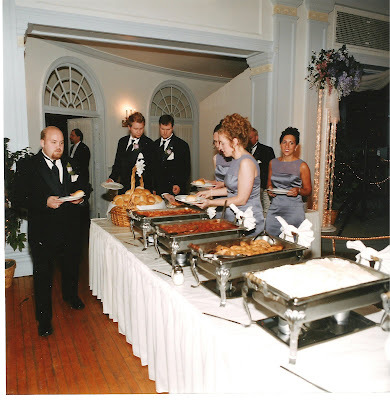 Chances are, by the time the reception starts, they are all hungry at the same time! You try to be proactive, along with your wedding planner, and have the table numbers called one or two at a time to the buffet line. However, the line backs up anyway! The servers are moving as fast as humanly possible but there is only so much that they can do. On top of that, your guests are trying to balance the many dishes and glasses that you chose would be great ways to serve and present the wonderful food options. You simply forgot they only had two hands! Think about the reception from the guests perspective. Follow the lead of your wedding planner. She may have been to the venue many times before and have very good ideas on how things should flow logistically. Besides, the longer it takes for all of your guests to get through the line, the less time you have to dance and the other fun things. 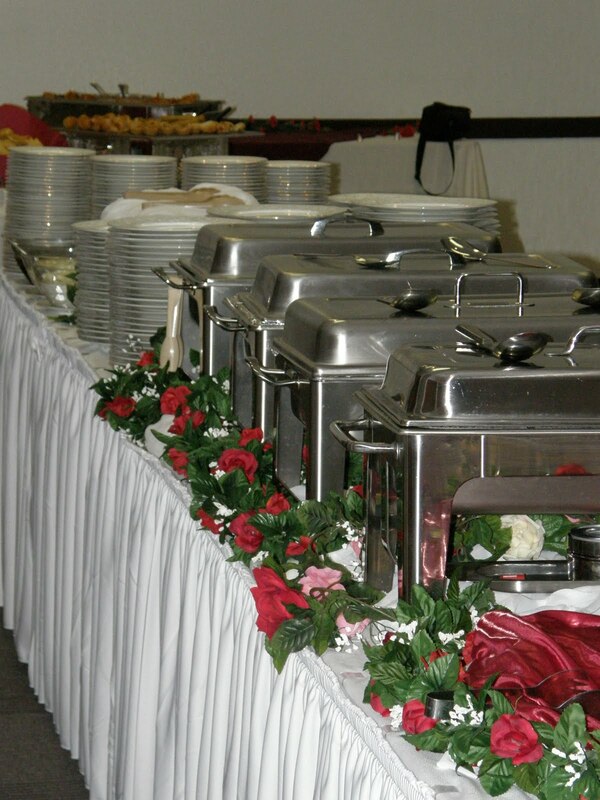 Lastly, just because it's a buffet, doesn't necessarily mean that it's going to cost you any less money. Listen to the experts and make an informed decision.